The advocates and directors of programs aimed at curbing domestic violence and assisting its victims have one thing right: San Francisco is failing and has fallen far behind the standard set in other communities. The evidence is irrefutable that the city has failed to put into place policies that will better protect against violence against an intimate partner and has a failing record on prosecution of in such cases. So far, however, despite a sustained campaign aimed at blaming Sheriff Ross Mirkarimi for this state of affairs, there has been no discussion of what’s wrong and what is needed to fix it. The blame for that falls squarely on the political consultants leading a campaign that claims to be about domestic violence but which has done nothing to advance the city’s efforts to meet that challenge. It lies equally with Mayor Lee and his administration and District Attorney Gascon who apparently find this a welcome diversion from examining their own policies and management that has made San Francisco last among Bay Area counties. The focus on the Mirkarimi case has led some to believe that the advocates for organizations involved with domestic violence see it domestic violence everywhere, from raised voices in an argument between romantic partners to actual physical assault. But the evidence is mounting that they see it nowhere except where they can claim a political advantage. To be sure, many organizations continue their critically important work providing shelter for abused partners, legal assistance for undocumented family members, and counseling for both the abused and the abusers. This is the work that has brought federal funding to San Francisco. Sadly, the voices that are most prominent in the current furor have come from political consultants who have not disclosed who is paying them (or apparently complied with state law for such disclosures) and for publicists who are not directly engaged in assisting victims. If the challenge of domestic violence in our community is to be met, first action needs to be taken on the agenda they have left unfinished – and we must alert sympathetic and influential leaders like the San Francisco Democratic Central Committee – that no victim will be protected or served so long as we continue to ignore the actions that are overdue. 1. Join in the statewide system that links all counties with records of domestic violence convictions so that batterers don’t leave their records behind when they cross the county line. San Francisco just declined once again to join the state system, pointing to its own system it believes to be sufficient as well as to budget shortfalls. On Wednesday, October 24, San Francisco declined to sign on to the California Courts Protective Order Registry. Officials say they are satisfied with their local system and that budget cuts make this a lower priority. Meanwhile 21 counties have signed onto the California Registry. The system, the California Courts Protective Order Registry, began with the San Francisco-based state Administrative Office of the Courts. Using the registry, police officers, sheriff’s deputies and judges responding to a victim’s complain can do a quick computer search day or night to see if the alleged victimizer has a previous record. Because domestic violence is often part of a pattern of violence directed at others, this registry includes cases of elder abuse and workplace harassment. San Francisco declined because of budgetary problems and because it believes its existing stand-alone system is sufficient. That explanation has gone not only unchallenged but also unexamined by the advocates most concerned about domestic violence. Nor has the mayor or the Board’s budget chair raised this as part of the city’s budget. Even the statewide registry available for law enforcement doesn’t meet the important need for a publicly-accessible registry, similar to registries that allow parents to check a criminal conviction for a nanny or for those who are concerned about sexual predators. Ironically, the call for such a public registry came from San Francisco’s Fiona Ma, based on a criminal case handled by Jim Hammer. Fa introduced her registry of those convicted of criminal felonies in domestic violence or multiple domestic violence misdemeanors, but it failed to win passage in the state legislature. Hammer introduced a call for support at the San Francisco Police Commission when he was a commissioner, but it failed there as well. The San Francisco Chronicle backed the proposal in an editorial two years ago this month (“No Refuge for Domestic Violence Perpetrators”) and the paper ran a column by one of their reporters who was a victim of domestic violence. One real-life example was described by Suzanne Herel, a Chronicle assistant business editor who recounted her experience in Sunday’s Insight section. While dating a man, she checked his background and found only a years-old drunk-driving arrest. “After he seriously assaulted her, Herel investigated further. She was stunned to find that her attacker had a long history of domestic violence. Her assailant had drawn three restraining orders and two prison terms. That also fell on deaf ears in 2010, as it does today. Opposition to the creation of a registry came from, among others, advocates for victims of domestic violence who expressed concern that the cost of establishing a registry would be met by reducing funds for them. “But one major victims advocacy group, the California Partnership to End Domestic Violence, said it had some concerns and has not taken an official position on the proposal. The group said it wanted to ensure that creating the database would not divert funds from existing domestic violence programs in these lean state fiscal times,” reported the San Jose Mercury in a 2008 article. This year, in the wake of the massive publicity generated by San Francisco advocates for domestic violence victims, there has been no call for our city to join in the statewide registry for law enforcement or to back a registry like the one the Chronicle once supported. The Mayor, the DA, the Police Commission, the San Francisco court system and the proposed Democratic Party resolution are equally silent in the face of this need. 2. A zero-tolerance policy for police convicted of a domestic violence crime. San Francisco has declined to adopt the policy urged on all police departments by the International Association of Chiefs of Police as far back as 2003 that police departments adopt a policy of terminating officers convicted in a domestic violence charge. “Any officer convicted through criminal proceedings of domestic violence shall be terminated from the department,” states their policy, written with support from a grant from the U.S Justice Department’s Office on Violence Against Women and the Office of Community Oriented Policing Services. The IACP’s Policy on Domestic Violence by Police Officers is a detailed manual that sets benchmarks on office training, supervisor’s duties, protecting victims, and other aspects. While many casual commentators have stated their belief that a zero tolerance policy exists in San Francisco (and that Mirkarimi has been permitted an exception), the San Francisco Police Department has yet to support a zero-tolerance policy for its officers or even to propose it in a union contract. It is reasonable to assume that the POA would oppose a policy that calls for termination of its members. To date, not even Police Commissioner Susy Loftus, until recently a prosecutor in the DA’s domestic violence enforcement efforts, has backed a zero-tolerance policy for police officers. 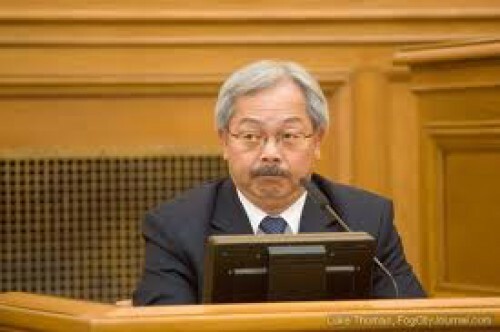 However, Loftus has stated that she will do her utmost to see that Mirkarimi is removed from his elected position. 3. Adopt an admission preference for victims of domestic violence for public housing or Section 8 housing at the San Francisco Housing Authority. Several years ago, Rep. Nancy Pelosi wrote to the Housing Authority urging that domestic violence victims be given priority on the waiting list for public housing or Section 8 housing. Without an established and public preference list, these victims receive no priority and can wait years for housing. HUD provides special vouchers for residents in recovery programs but to date this has not extended as a special category for victims of domestic violence. Locally, however, San Francisco has the authority to adopt such a preference. This would allow a victim to relocate away from the victimizer, provide housing that is affordable while building a new life, and in many cases be part of a residential facility that also offers child care, skills training and other critically important considerations. To date, none of the advocates have included this proposal on their list, nor has the mayor urged the Housing Authority to at least hold a hearing on whether this would be beneficial. It should be part of a city program. 4. Determine the factors that led to San Francisco’s District Attorney having the lowest prosecution record of the Bay Area counties. “On a per-capita basis, San Francisco ranked last among Bay Area counties in per-capita prosecutions for domestic violence — 29.5 per 10,000 people — about half the rate for the whole region,” reported the San Francisco Public Press in an important investigative analysis published in September. “But records show that in thousands of cases, the San Francisco District Attorney’s Office has declined to prosecute. In the last five years, the district attorney’s domestic violence team reviewed about 8,600 criminal cases. Of those, the they dropped about 6,200 before court,” reported SF Public Press. Policy changes like the domestic violence registry and a zero tolerance policy play an important role, but come second behind performance in enforcing the laws to protect victims of batterers. Gascon was unable to offer an immediate explanation for his office’s low prosecution rate in an interview with KQED. “We are going to assess why that has occurred,” Gascón said Thursday, as first reported by KQED News. “But it appears to be a trend that has taken place during the last decade. And today I do not have an answer as to why,” reported SF Public Press. While the trend may go back a decade, the statistics point to the fact that during Gascon’s first year in office, prosecutions declined even further. Gascon faces an additional challenge in trying to explain a record of non-performance that goes back a decade since his office was headed by Kamala Harris, now the state’s attorney general. Her chief of investigations for seven years during her tenure was Chris Cunnie, a candidate for sheriff last year supported by some of the most outspoken advocates for victims of domestic violence. When Gascon ran for election to the DA post he obtained by appointment, no questions were raised by domestic violence groups about his department’s failure to prosecute over 70 percent of the cases. In that same election, Chris Cunnie was a candidate for sheriff; no questions were asked about his record as the head of the investigations unit where domestic violence is handled. Instead, almost every publicly-identified head of a domestic violence group or advocate contributed or otherwise supported both to head up offices where delivering results is critical. Trying to square the take-no-prisoners approach in the Mirkarimi case with the indifference to domestic violence prosecutions under Harris, Cunnie, Gascon and others will require nimbleness. For Mayor Lee, DA Gascon and some of the outspoken advocates urging Mirkarimi’s removal there has been a heavy reliance on creating a climate that ignores the plight of domestic violence victims and the steps that could be taken to better protect current and potential victims. Anything else might bring unwanted attention on their own records and actions. Mayor Ed Lee has been a major beneficiary because it has both allowed him to appear unstinting in his support of the agenda of domestic violence organizations while avoiding discussion of his own record. That record includes firing a city manager that blew the whistle on workplace sexual harassment. That originally took place when Lee was the City Administrator and approved the dismissal of the EEO officer who fell under the supervision of Mohammed Nuru at the Department of Public Works. The EEO officer sought the dismissal of a longtime city manager in the Department who would make serious sexual advances on the women on his staff while locking them in a city truck with him. She recommended that he be removed and that his file state why he was removed so that he would not be hired by another city department. Nuru disagreed and instead, according to court documents, allowed the sexual predator to leave the Department with no record of the issue. When the EEO officer continued to press for an explanation, Nuru took up the issue with his supervisor, Ed Lee. Lee then approved the dismissal of the EEO officer. That might have ended this case except that the EEO officer filed suit over the dismissal, spelling out the specific incidents. In January 2011, shortly after Lee became interim mayor, the city decided to settle the suit with a payment of $105,000. The person who signed the approval for the settlement payment was Ed Lee, now mayor, who had approved her dismissal. This one case alone is sufficient to raise doubts about when a recusal is in order, and whether a city official can approve paying city funds to settle an action where they had the final responsibility. It also underscores the fact that workplace sexual harassment is an important aspect of sexual violence and is related to domestic violence. Yet none of the advocates have pressed Lee to explain his role in allowing a sexual predator to obtain other city employment and for dismissing an EEO officer who blew the whistle on it. For his part, Lee as mayor promoted Nuru to head the Department of Public Works and stoutly defended him against serious charges raised by City Attorney Dennis Herrera that Nuru is unfit to head a city department. The lead spokesperson from the domestic violence organizations is Andrea Shorter, now identified in a Bay Guardian article as facing complaints with city and state agencies that she has violated the law. The penalties for the violations go up to a misdemeanor prosecution and a year imprisonment. Shorter did not return the Guardian’s calls asking for a response. Shorter is the past president of the Commission on the Status of Women and a current commissioner there. Like all officials throughout California, Shorter is required to file an Annual Statement of Economic Interests that discloses any reportable income above $500 and any business positions she holds. For the past five years, Shorter has signed under penalty of perjury that she has no reportable income and no business positions. As the Guardian reported, during this time Shorter has held a variety of jobs, including with Equality California and most recently as CEO of Atlas Strategies, which claims to provide political consulting and strategy. In other documents, such as her contributions to Chris Cunnie for Sheriff, Shorter has identified herself as employed by Equality California. The law’s intent is clear: the public is entitled to know if there are financial conflicts of interest on the part of public officials in performance of their duties. Without the disclosures – or with a signed statement that there is nothing to disclose – the public has no way of knowing whether an official is acting on behalf of the public or on behalf of a paying client. Businesses engaged in San Francisco for seven or more days also are required to obtain a license and register with the city. There is no registration for Andrea Shorter or for Atlas Strategies, according to the Treasurer’s office. In the current circumstances, this is not a moot issue. Shorter opposed Mirkarimi’s election and now is the leading spokesperson for his removal, paving the way for someone else to take that job. Today Shorter is one of the public faces of a political committee funded by conservative millionaires aimed at defeating Christine Olague in her bid to be elected to a full term as District 5 supervisor. Operating under the heading “San Francisco Women for Accountability and a Responsible Supervisor,” Shorter positions herself as an advocate for taking responsibility for the duties of office. The past year has all the hallmarks of a political campaign. Billboards were put up in strategic supervisor districts. A partisan poll was released. Press conferences were held on City Hall steps. A social media element was created to garner endorsements. All of this was undertaken in the name of an organization with no history of political tactics and which is not allowed to use resources in a political campaign. None of its officials are registered to lobby City Hall for an administrative or legislative decision, although that is the core of the effort. It will require an investigation to determine whether this was the creation of a political consultant being paid by an undisclosed client. One fact is unalterable: Shorter was required by law to make the same public disclosures required of all officeholders and for five years has claimed under penalty of perjury that she has nothing to disclose. If the past year is an indication of the strategy to remove Mirkarimi, whether through Official Misconduct charges or now talk of a recall, the pattern has been set. It calls for the continued demonization of Sheriff Mirkarimi, continued charges that his wife Eliana Lopez committed perjury, is a gold digger looking at a financial win, and/or should leave America and end her effort to become a citizen. It also calls for ignoring meaningful steps that the Lee Administration and that DA Gascon should have underway if they are serious about meeting the challenge of domestic violence.